You can embed a Sketchfab model just about anywhere on the web that allows the use of iframes. Below is a list of specific platforms that do this and have made it very easy to embed Sketchfab models. Click an icon to go to that platform's specific instructions. 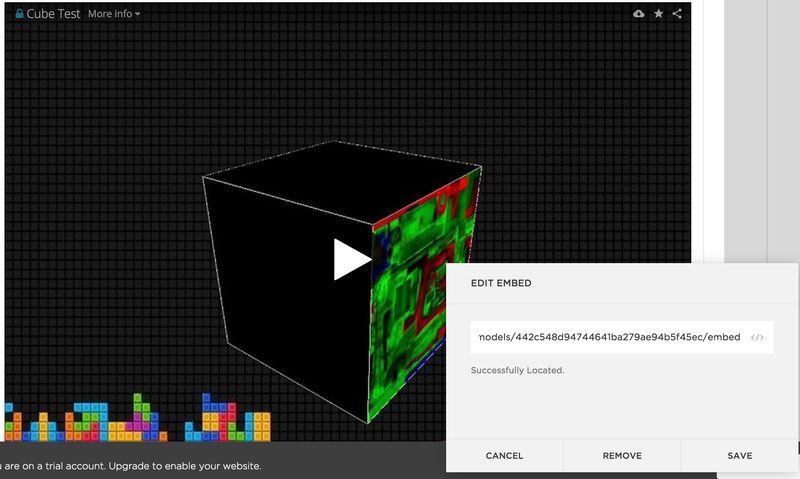 For information about the embed code and different embed options/parameters, such as viewer size and autostart, see Share & Embed Online. The embedding option using a URL is currently not working on squarespace. The site returns the message "URL is not embeddable". Yes, this is what I tried. I can't seem to add images to the post, maybeI can send you a screenshot via mail? So, it seems like some buggy link parsing on Squarespace's end. 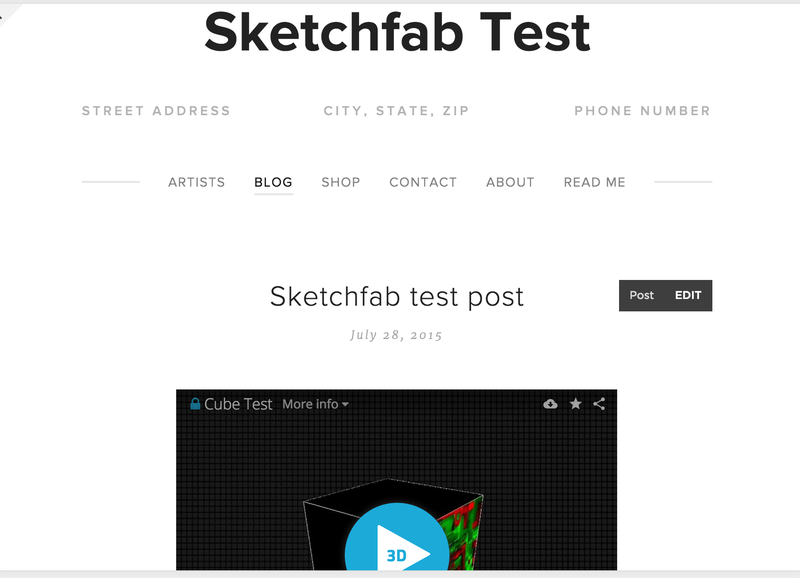 Pasting the link, then typing a space/backspace worked ok.
Is it possible to embed sketchfab material on Wix? I'm currently stuck using it while rebuilding my portfolio in Dreamweaver. @James I haven't really made any attempts just yet, iv only just started to use Sketchfab at work and was wondering if it would work on my Wix portfolio without too much hassle. @axis-3 - I see. Yes, it should be ok! Let me know if you run into issues. @James I want to create a portfolio on freelancer. How can I embed my models there. I don't see any embed option on their site as well. If it's not a feature on both side then make it happen please. @noorulain_basir_arain - Thanks, we'll look into it! @moroplogo - That's cool! Is this working right now or it's just an idea? @James Yes It works ! The first embed model that I found is on this page http://www.thefossilforum.com/index.php?/topic/56985-3d-fossil-scanning-w-photogrammetry , it dates from August 2015. Any help on how to export my file to STL would be appreciated. @kgrace - What format / software are you using? Is there a output for canvas element instead of iframe? Been trying without success to embed Sketchfab models into RapidWeaver. 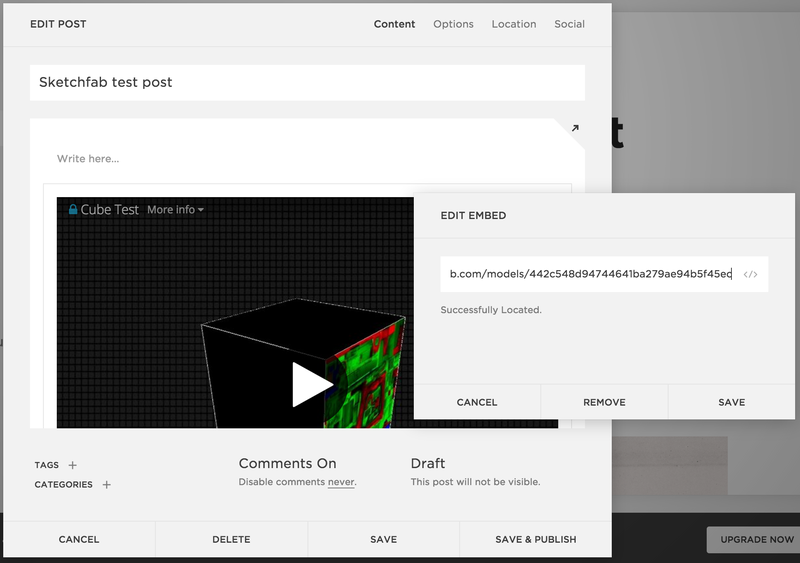 Do you plan Sketchfab embedding in Joomla CMS? Hello James, thanks for your article.